When one door shuts, the other door opens. 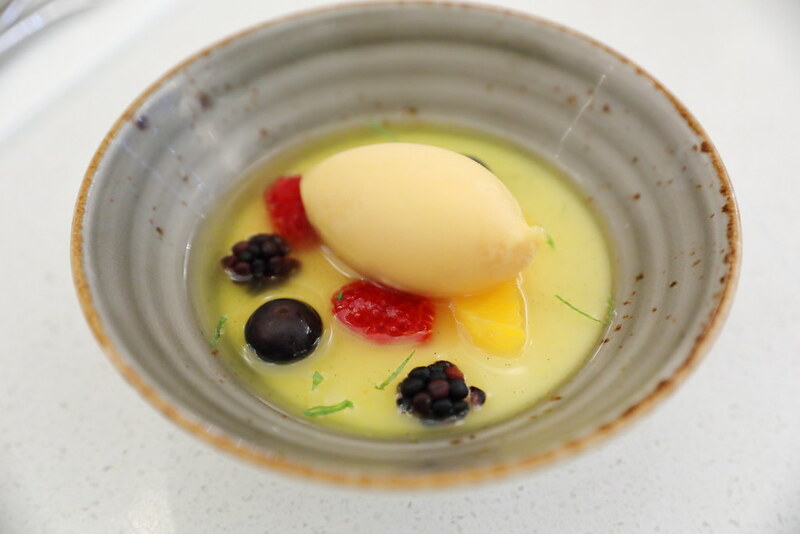 With the closing of Restaurant Ember, Chef-Owner Sebastian Ng has opened his latest concept - VENUE by Sebastian at the new OUE Downtown Gallery. With former Head Chef of Artichoke joining his culinary team, the restaurant offers a menu featuring modern European culinary techniques and quality ingredients, imbued with a refreshing touch of Asian flavours. 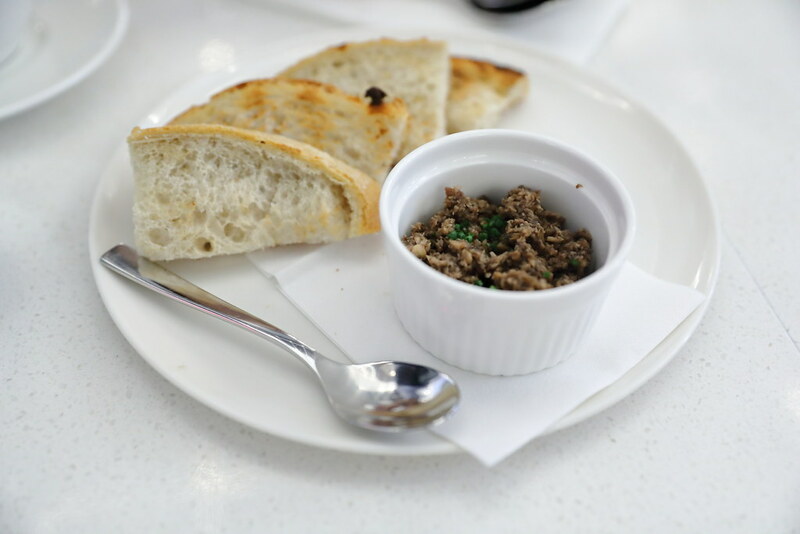 We started with the Toast and Seasonal Mushroom with Truffle Oil ($8). 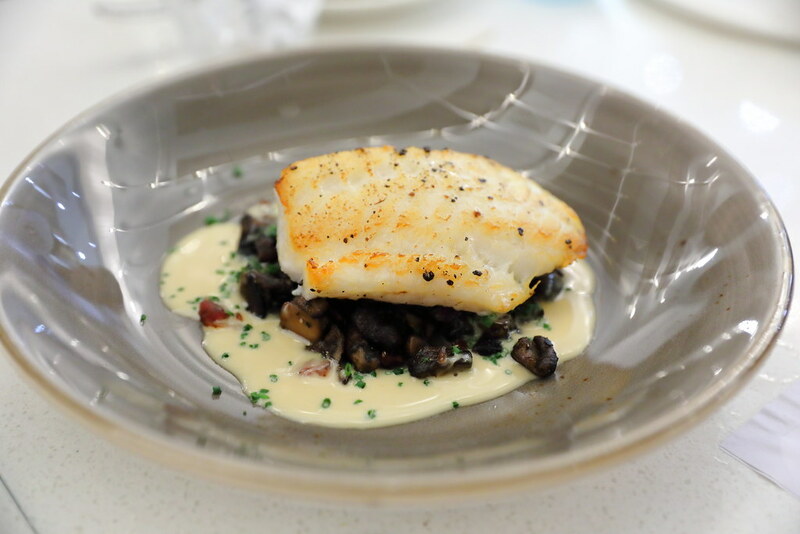 The earthy flavour of both the mushroom and truffle oil, made this a delectable starter as we work through the menu. Being picky here, I was wondering why the mushroom was not pre-spread on the toast and I could have just pick it up and have it. Next is the addictive Whitebait with Chilli Salt ($9). 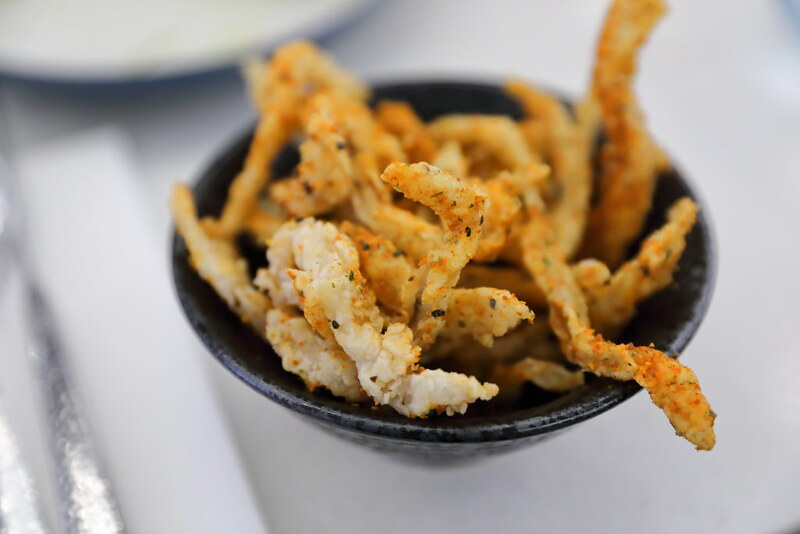 The whitebait coated in a thin batter and deep fried to golden brown. It is then dusted with chilli salt for that spicy and salty enjoyment. 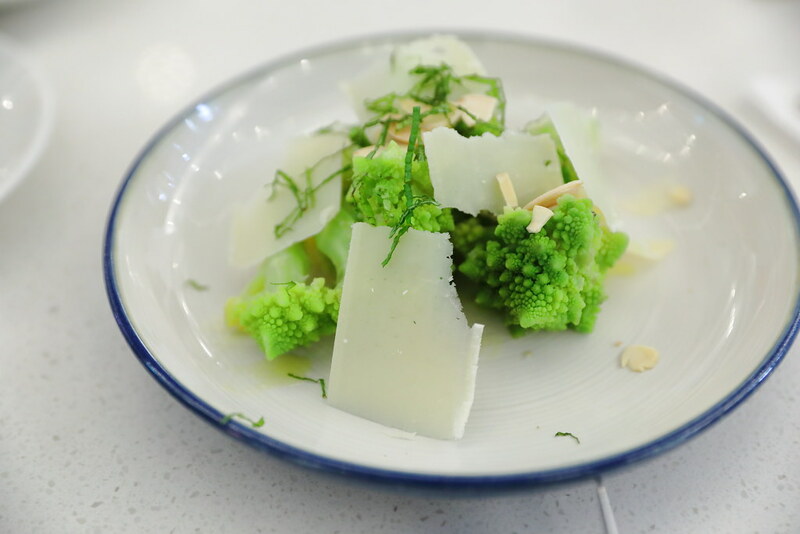 For something light and refreshing, one can go for the Chilled Romanesco Broccoli ($13) that comes with almonds, shaved parmigiano and lemon vinaigrette. It is a tasty dish but I prefer something that is richer in flavour. 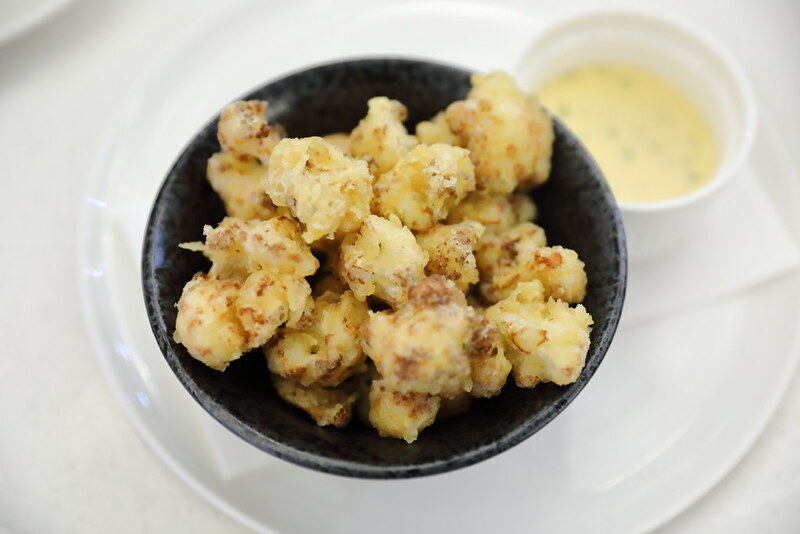 A crowd favourite is the Cauliflower Fritti with Spicy Mint Aioli ($10). A healthy snack in disguise, this plump, crunchy and crispy fritti, will make you uncontrollable go back for more. Is too late when you realized you have finished them. 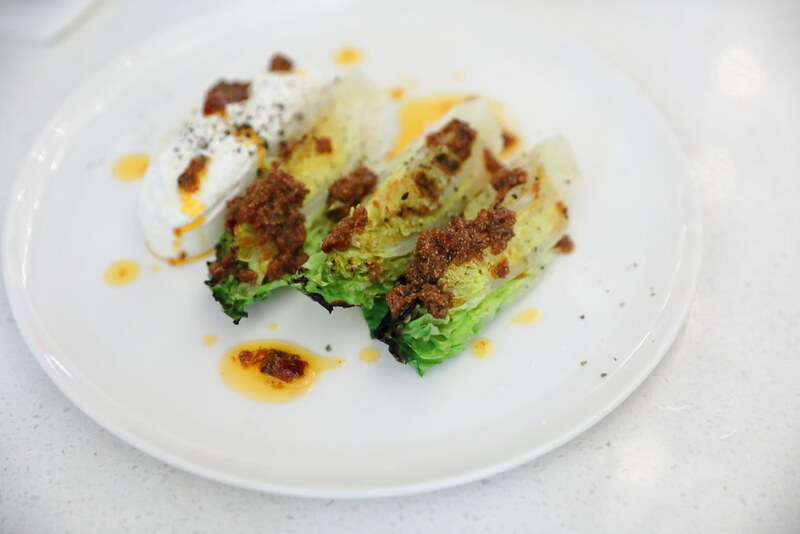 The other vegetable dishes we had is the Spansih Gem Lettuce with Light Anchovy Dressing ($9) and Grilled Spanish Gem Lettuce with Burrata and Mentaiko Vinaigrette ($19). The crunchy spanish gem lettuce is very refreshing and crunchy. It seems to be able to pair with anything that is being put together by the chef. Put it in a better way, the chef is great in handling the greens, bring out the best of the ingredient. 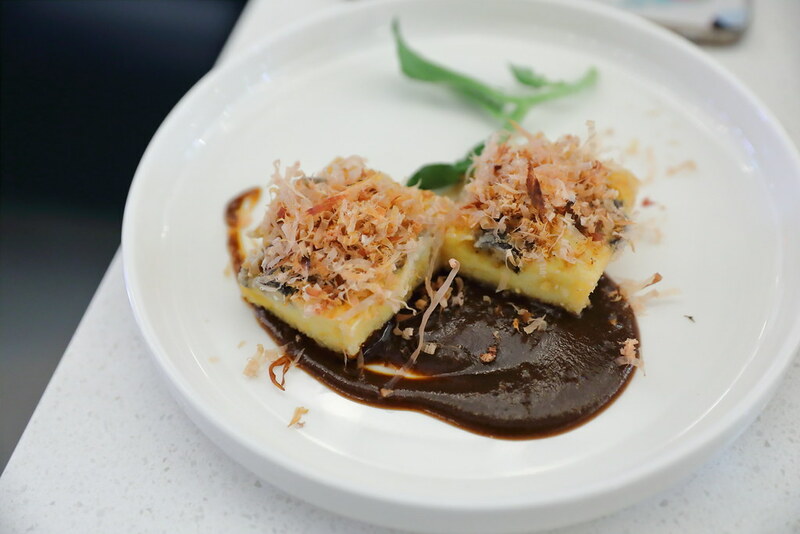 The Homemade Tofu with Foie Gras Mirin Sauce ($14) is like the Japanese agedashi tofu. 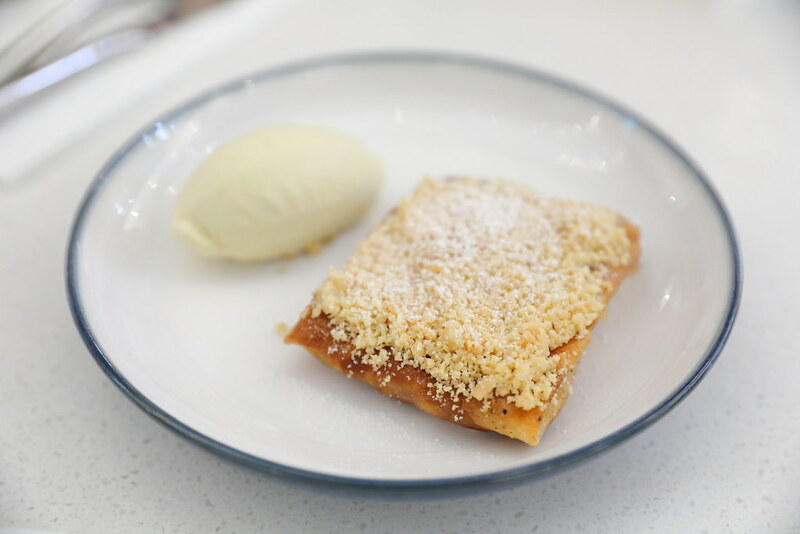 The crispy exterior with its silky interior paired excellently by the foie gras mirin sauce. I just don't understand the purpose of the iced lettuce. 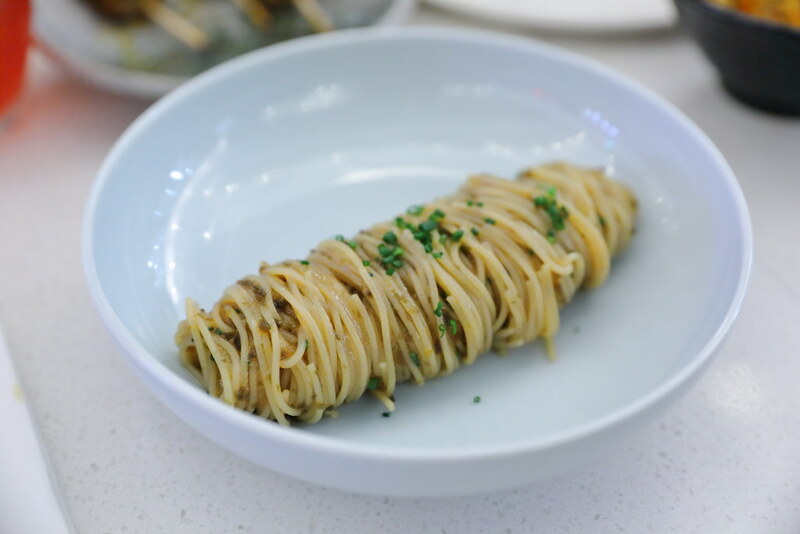 Moving to the pasta items on the menu, we started with the Duck Ragout Hand-Cut Pasta ($21). 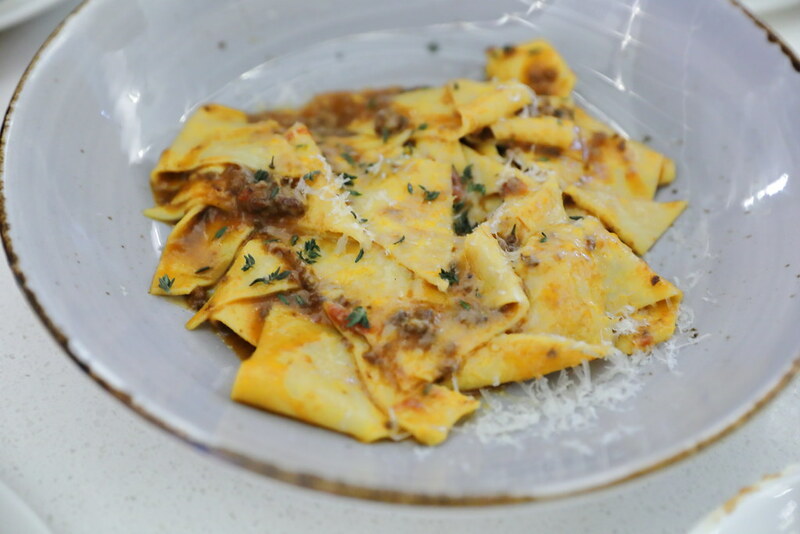 The richness of the duck ragout complemented by the parmigiano reggiano, went very well with the perfectly cooked pasta that is cooked to the right firmness. 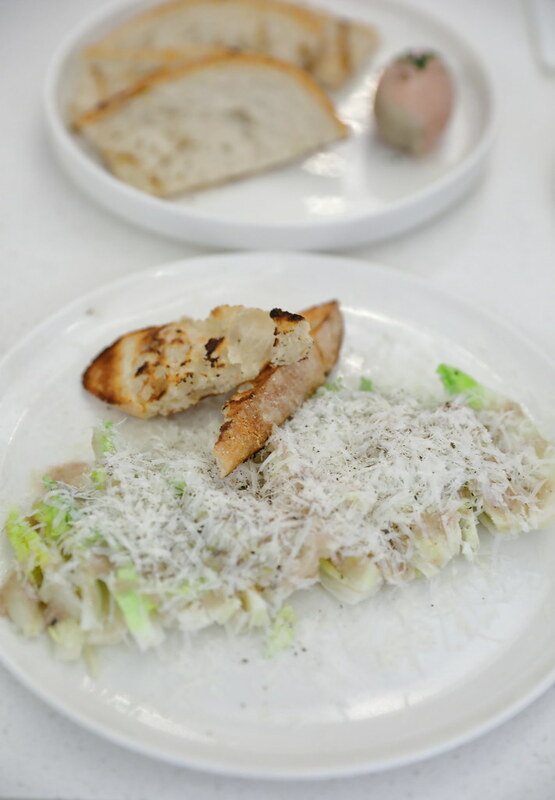 The other pasta dish we tried is the Cold Pasta with Konbu and Truffle Oil ($23). It was indeed a very delightful dish with the rich and intense truffle perfuming and stimulating the senses with each slurp of the cold pasta. 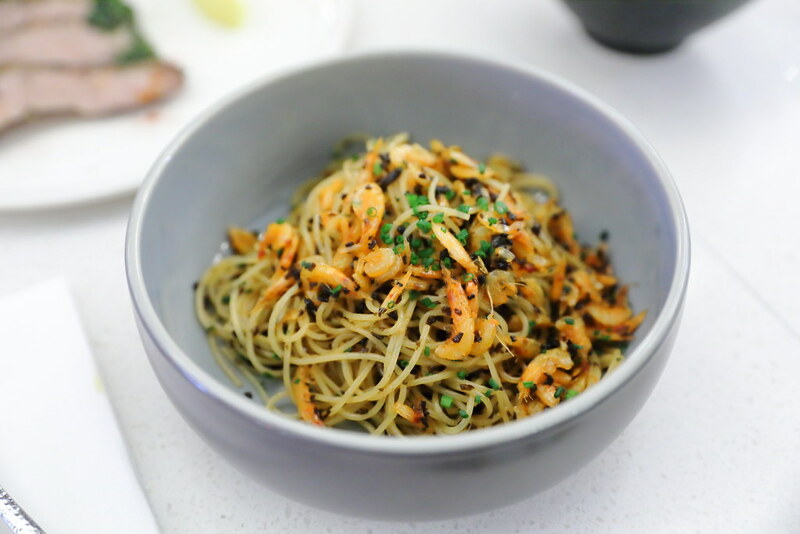 The hit at VENUE by Sebastian which probably will become their signature dish is the Angel Hair Pasta with Sakura Ebi ($27). Tossed in konbu, chilli and sakura ebi, this is packed with layers of flavours and textures. Every mouthful of the pasta, is like have a beautiful display of fireworks in the mouth. This is a must try. 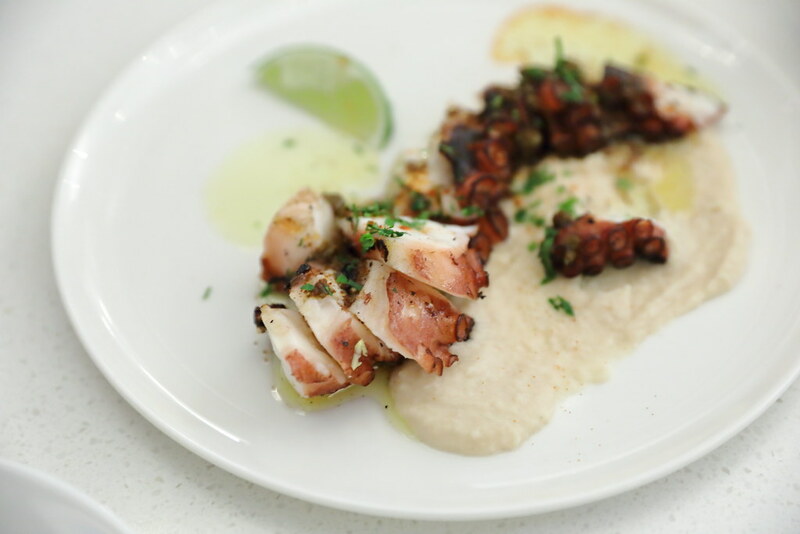 From the sea, we had the Grilled Octopus in White Bean Puree ($27) and Chilean Seabass ($36). While the grilled octopus comes with a nice smokey flavour and bouncy bite, I felt it lacked some zest to elevate the enjoyment. For the chilean seabass the quality piece of fish speaks for itself with its firm, moist and buttery flavour. This is excellently married with the mushroom bacon ragout and truffle yuzu butter sauce. From the sea, we move to the land. Starting with the Iberico Pork Jowl ($18) that is paired with gremolata and lemon. 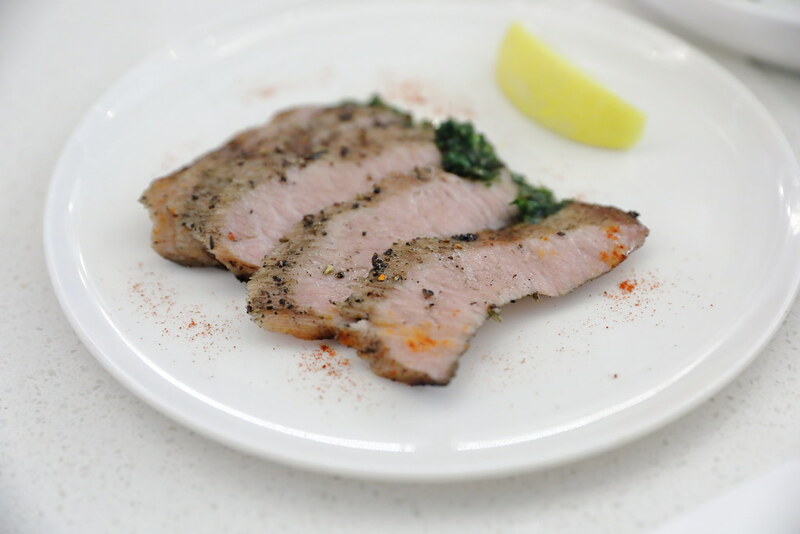 An excellent choice of condiments that zest up the appreciation of the beautiful piece of pork. The iberico pork jowl also comes with a nice crunchy bite. I am not sure about the rest of my dining companions but I enjoyed the Lamb Riblets with Chimichurri Rojo ($5 each) a lot. 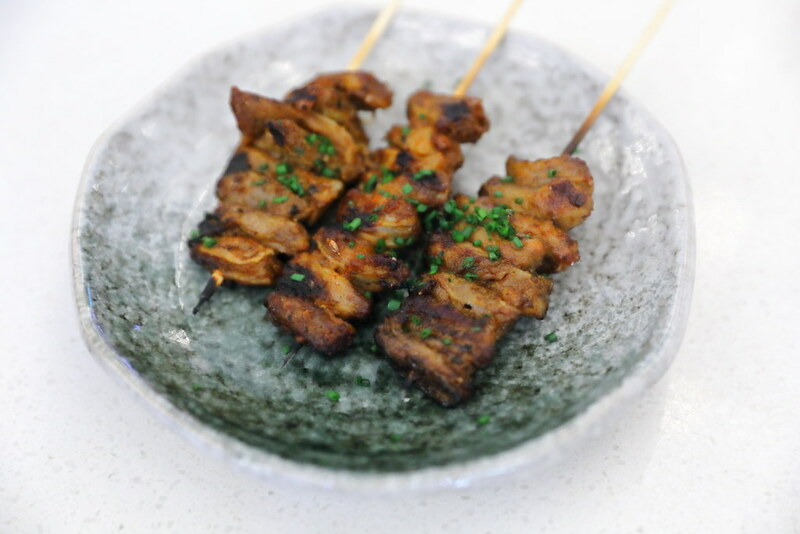 The lamb riblets comes with the right ratio of meat and fats, with hints of beautiful spices, grilled to a nice smoky aroma. 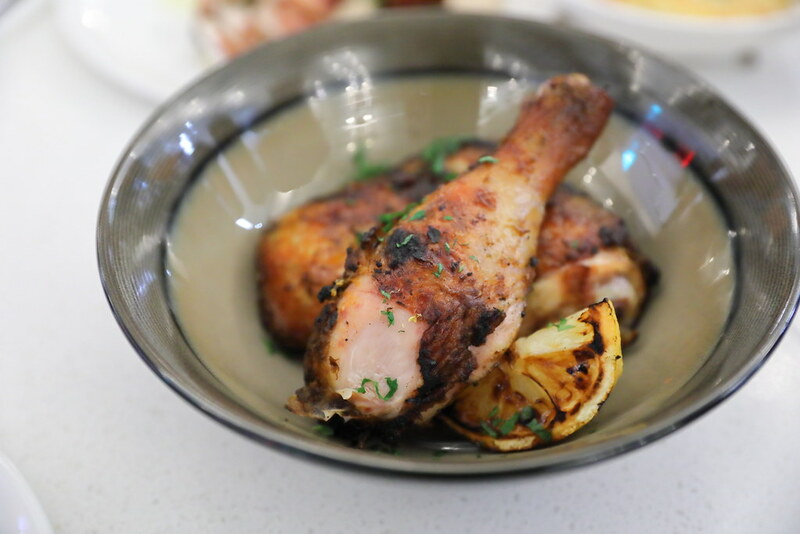 A dish that everyone gives the thumb up is the Wood Grilled Chermoula Chicken ($15 per leg). Traditionally used to flavour seafood, the chermoula marinade works beautifully with the chicken. 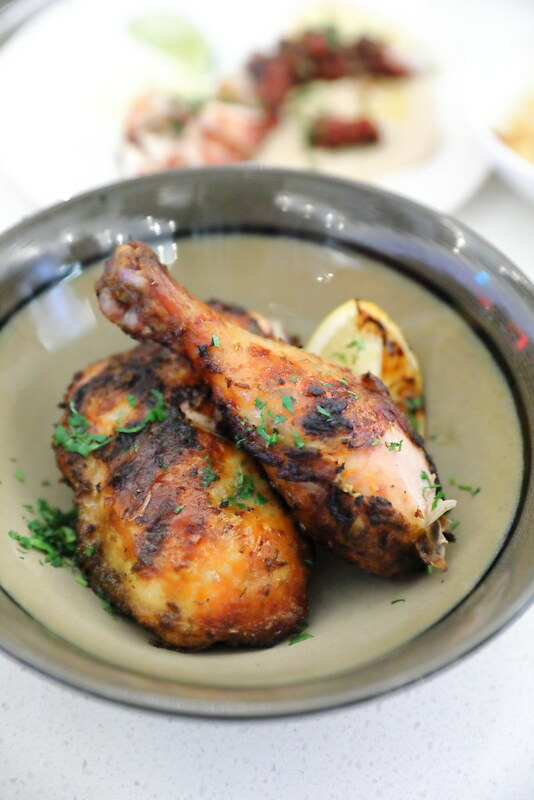 Squeeze a bit of the charred lemon onto the chicken to lit up the flavour further for an elevated enjoyment of the smokey, tender and juicy chicken. 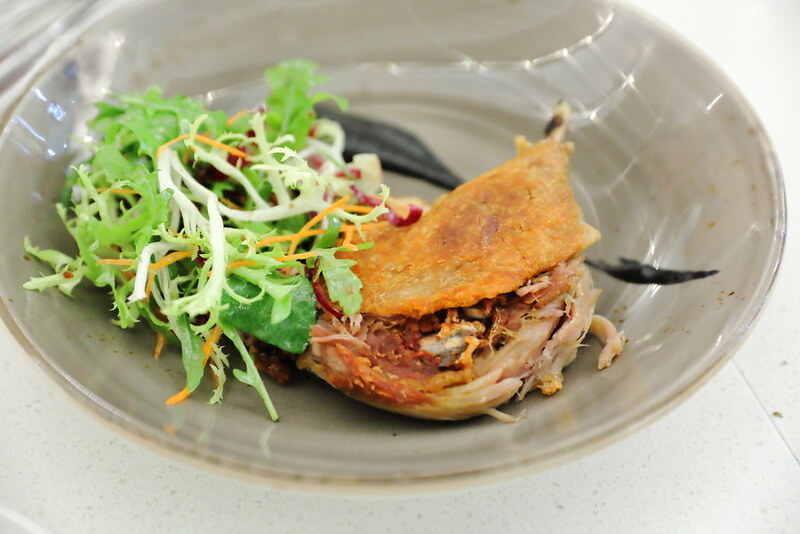 The Duck Confit ($19) is nothing fancy but allows one to appreciate the duck meat itself. Crispy on the exterior with tender inside, it is served with truffle emulsion, mesclun and lemon mustard vinaigrette. One of the better ones I have eaten. 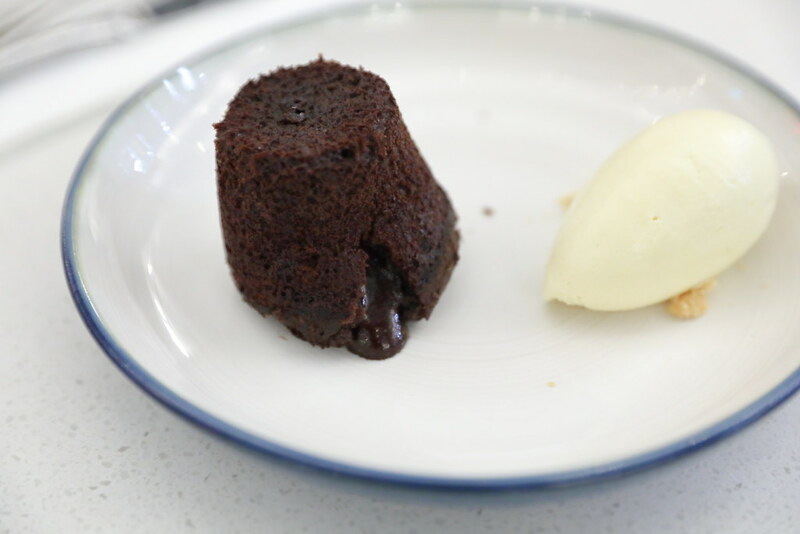 While I enjoyed the most of the dishes at VENUE by Sebastian, I am not a great fan of their dessert menu. I am not saying that it is not go but it is kind of boring. 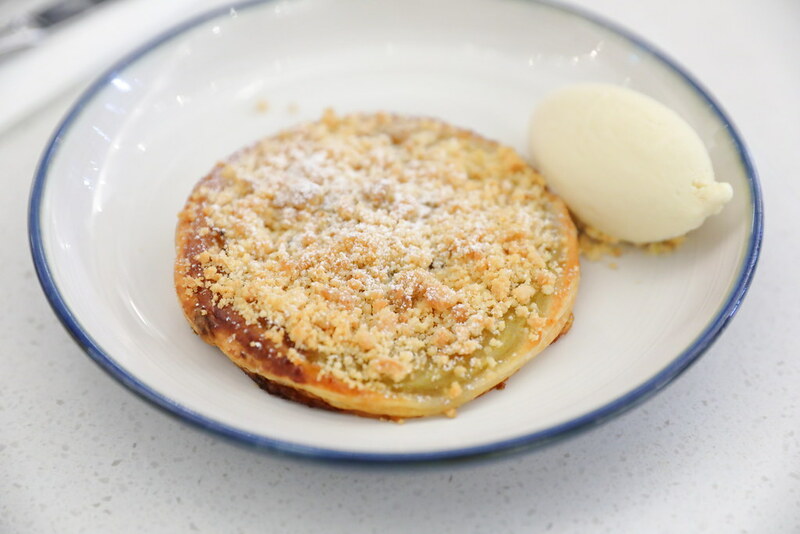 We tried the Pear Tart with Bailey's Ice Cream ($14), Apple Pie with Rum & Raisin Ice Cream ($14) and Chocolate Fondant with Vanilla Ice Cream ($14). I guess you know what I meant. Do note these desserts required 15-20 minutes wait. The dessert that aroused my interests is the Spiced Panna Cotta with Blood Orange Sorbet ($12). Could not really taste the spice elments but I like the play of the blood orange sorbet with the creamy panna cotta. To be frank, this is my first time trying Chef Sebastian's food. I have not been to Ember hence I could not compare the difference. Others have told me that his food is light but flavourful, I kind of agree from the vegetable dishes I tried. However I thought he is better in meats, as I enjoyed them more than the greens.